【ULTIMATE GIFT FOR TRAVELERS】One size comfortably fits all. Fully adjustable strap fits waist circumference 24" to 50". The belt is suitable for men, women and even children. 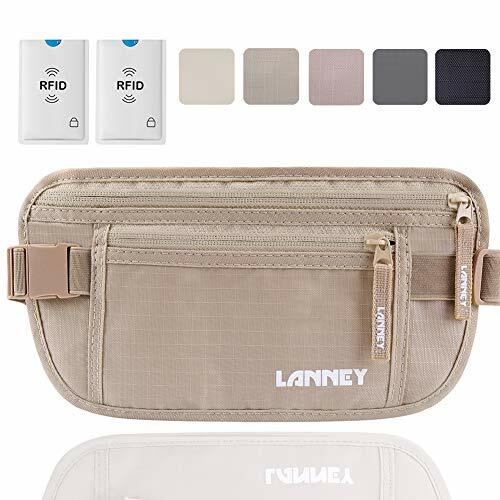 Buy money belt and get 2 RFID blocking sleeves bonus. Get this value pack NOW! If for any reason you are not satisfied with the new RFID money belt, you will receive a full refund or a free replacement. No questions asked and hassle free.